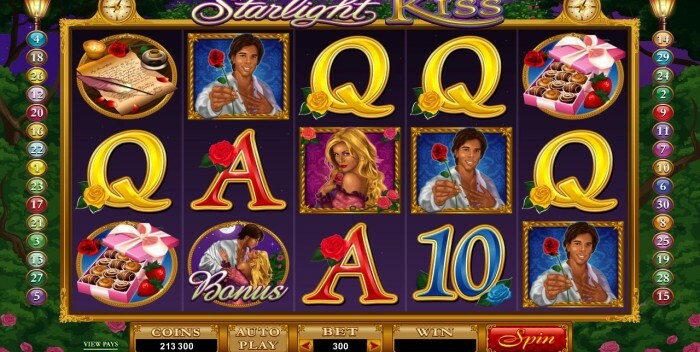 Home Slot Machines Starlight Kiss lights up Valentines Day! 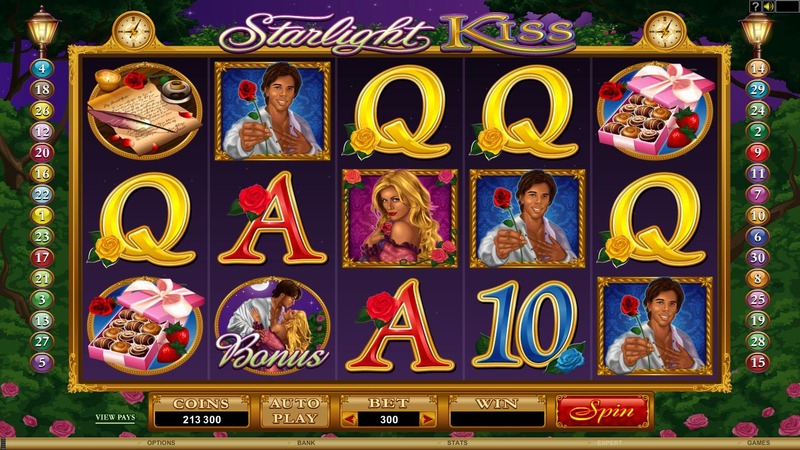 Starlight Kiss is the newest video slot that is here just in time for Valentine’s Day. This romantic video slot not only gets players in the mood for Valentine’s Day, but it does so with an exciting video slot game that has many great bonuses. The highlight of the game is the Romance Bonus that is triggered by 3 or more Bonus symbols. During this second screen bonus players pick 3 of ten different items that they think will enhance the romantic mood. Not only does each item provide rewards, but it also has hearts that fill the Romance Meter to provide an overall multiplier of the rewards they have received. In the base game, there are the Starlight Kiss Wild symbols that substitute for most other symbols, and there is a 14 Free Spin round that can be triggered by 3 or more Scatter Pay symbols as well. This is a 5-reel slot that provides 243 different ways for a player to win. Sticking with the romantic theme, there is a mixed pay that allows players to win with both the Man and Woman symbols combined. All of the other symbols used enhance the Valentine theme such as chocolates, a love letter, and flowers. Starlight Kiss is sure to be a hit as this Valentine’s Day approaches. It provides a bonus filled video slot with all of the features slot players love. 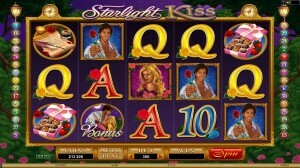 Get yourself in the mood for romance by playing Starlight Kiss this Valentine season.